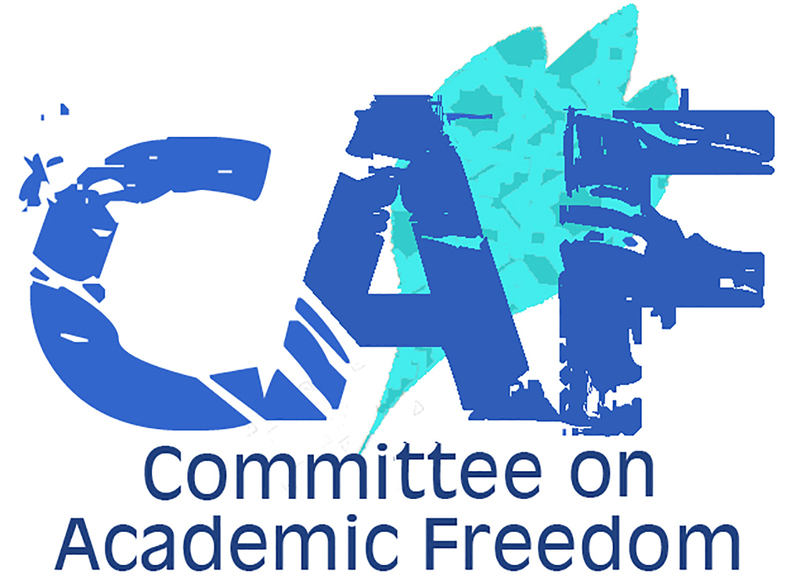 We write on behalf of the Middle East Studies Association (MESA) of North America and its Committee on Academic Freedom to express our deep concern about recent developments at Boğaziçi University (Istanbul). Boğaziçi has long been one of Turkey’s most distinguished institutions of higher education and one with a proud record of upholding academic freedom, freedom of expression and the right to education. Alarmingly, however, the University appears to have acquiesced in the dismissals of two of its faculty members by the Higher Education Council of Turkey (YÖK). On 7 March Boğaziçi University received a letter from YÖK informing the university that the work permits of Professor Abbas Vali (Department of Sociology) and Assistant Professor Noémi Lévy-Aksu (Department of History), previously renewed in October 2016, had been revoked by its Executive Commission on 22 February. Neither of the targeted faculty members are citizens of Turkey. Following this decision, Boğaziçi University terminated the contract of Noémi Lévy-Aksu. Abbas Vali had already resigned from Boğaziçi University at the time of this cancelation. As a result of these actions, both scholars lost their residency status in Turkey and their access to health care. The letter from YÖK did not specify the reason for the cancelation of the work permits, but Abbas Vali and Noémi Lévy-Aksu are the two foreign signatories of the Peace Petition at Boğaziçi University (for our previous letters concerning reprisal actions by the government and universities against Peace Petition signatories, see the letters dated 14 January 2016, 22 February 2016 and 17 March 2016). This YÖK decision imposed on Boğaziçi University, apparently without consultation, tramples on the university’s administrative autonomy and the most basic tenets of academic freedom. It is clear that the dismissals of these scholars have no academic basis: Last October, Noémi Lévy-Aksu was awarded a Newton International Fellowship at Birkbeck College, School of Law, for her research project on the state of emergency in the Late Ottoman Empire; on 6 March, just before learning of the YÖK decision, she had successfully passed the oral examination to be promoted to the position of Associate Professor (Doçent). Academics at Boğaziçi voiced their concern about the YÖK decision in a press release on 13 March. The University Rector, Professor Mehmed Özkan, publicly stated that he was not the instigator of the YÖK decision. Yet, he has refrained from issuing any statement condemning YÖK’s decision to cancel the work permits of the University’s faculty members. Unfortunately, this is not the first instance in which YÖK has canceled the work permits of foreign scholars teaching in Turkish universities who are deemed to be dissidents (see our letter dated 10 October 2016 on a comparable instance at Mardin Artuklu University). We note that the decision to comply with the work permit revocations and to dismiss the targeted faculty members was taken by the rector of Boğaziçi University, who was appointed by the government following an emergency decree empowering the presidency to make such appointments. On 12 July 2016, the previous rector, Professor Gülay Barbarosoğlu, had been elected by the academic staff with 86% of the votes. The emergency decree, Kanun Hükmünde Kararname, KHK 676, of 29 October abolished the elections of rectors through a university-wide voting process (see our letter dated 7 November 2016). On 12 November, Professor Barbarosoğlu, who had received the overwhelming support of the university staff, was bypassed and Professor Mehmed Özkan, who had not been a candidate in the July elections, was appointed rector by President Recep Tayyip Erdoğan. In accepting this promotion, Rector Özkan gave a speech promising to “embrace the participatory, diverse, and free traditions of Boğaziçi University and carry them to the future” and committing “to continue the principled and transparent approach where comissions and departments are the primary decision makers.” The dismissals of Professors Vali and Lévy-Aksu are inconsistent with these promises and commitments. Indeed, Rector Özkan appears to be adopting policies that are antithetical to freedom of speech, in some instances openly using the university as a platform to give voice to the ruling Justice and Development Party (AKP) spokespeople. For example, on16 February 2017 a panel organized by the Political Science Student Club was censored. One of the participants of the panel was going to be Seda Sadigil—a lawyer and member of the Republican People’s Party, the main opposition party in the parliament. Likewise, on 17 April another panel organized by the Business Administration and Economy Student Club was suppressed and disallowed. This time, one of the participants was going to be Selin Böke, the Vice President of the Republican People’s Party. Meanwhile, İbrahim Kalın, the spokesman of the President of the Republic, was invited by the Islamic Studies Student Club. His talk took place in the Rectorate Conference Hall on 26 February with no obstruction by the university’s president-appointed rector and his new administration. As a member state of the Council of Europe and a signatory of the European Convention for the Protection of Human Rights and Fundamental Freedoms, Turkey is required to protect freedom of thought, expression and assembly. Turkey is also a signatory to the Universal Declaration of Human Rights, the International Covenant on Civil and Political Rights, and the Final Act of the Conference on Security and Cooperation in Europe (OSCE), all of which protect the rights to freedom of expression and association, which are at the heart of academic freedom. Moreover, the rights being trampled by actions like those of YÖK in this instance are enshrined in articles 25-27 of the Turkish Constitution. We respectfully ask that the decision to revoke the work permits of the two foreign academics who signed the Peace Petition be reversed. We also urge the newly appointed Rector of Boğaziçi University to keep his promise, commit to the principles of academic freedom and freedom of speech, and desist from censorship on campus to preserve the hard-earned and widely respected status of Boğaziçi University as one of Turkey’s most distinguished institutions of higher education.